The internet is awash with articles about where to flee if (or when) the zombie apocalypse happens. A popular choice, inevitably, is the lighthouse. These structures are often off the beaten track and made to withstand everything that the elements can throw at them. Surely they could hold against the occasional undead caller or even the odd herd of walkers as they reach the coast in their inexorable search for flesh? Yet what happens once the furor dies down (perhaps not quite the right way to put it)? The latest inhabitants of Beachy Head Lighthouse, on the coast of the English county of East Sussex, have the answer. The survivors’ thoughts will, no doubt, inevitably turn to alcohol. 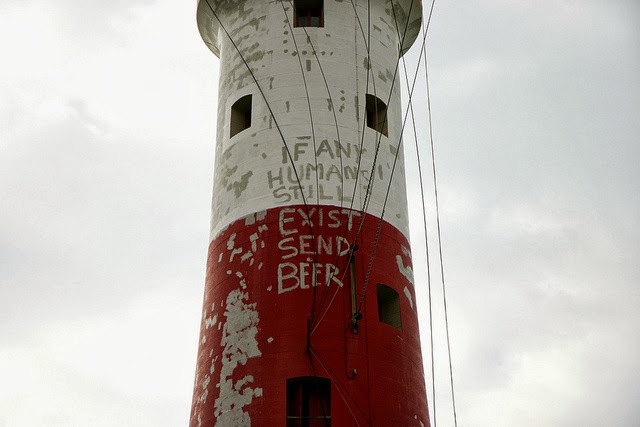 The plaintive message to any rescuers reads If any humans still exist, send beer. 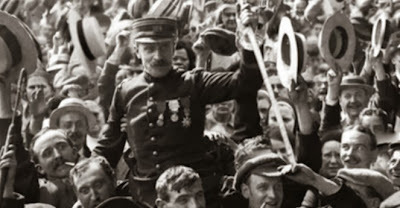 It could be argued that the British Empire was founded on beer and, as such, it’s more than likely that any indomitable Brit bunch of still sanguineous survivors would get as thirsty for beer as their zombie countrymen had been for their blood. As a post-apocalyptic cry for help and attention, it certainly beats the HELLO that Jim and Selena managed to get on to an old sheet at the end of 28 Days Later. Yet this is no outpost of humanity – or even the movie location for Shaun of the Dead II (now, that’s something that might get even the posthumous pulse of the perished racing). 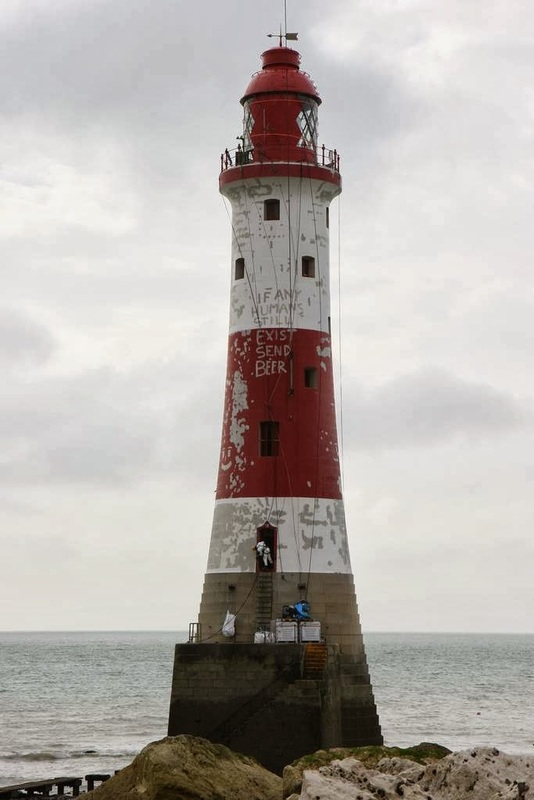 This is the work of a group of cheeky painters, charged to restore the prominent red and white stripes of this landmark lighthouse at Beachy Head. This is the first episode of a new series which promises to be… awesome, at least if this episode is anything to go by. 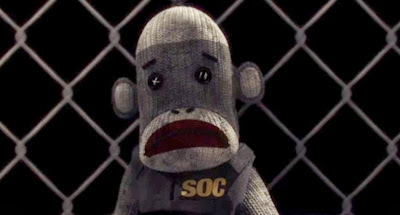 It follows the adventures of four plush toy vigilantes (Mega Bear, Mega Tiger, Mega Elephant and Mega Gorilla) who are at odds with SOC (Society of Chimps), a band of unhinged sock puppets who are out to conquer the world. Directed by Matt Burniston you can find out more about this epic new series of adventures by visiting the Mega Plush website or visiting their Facebook Page. This short piece examines the question what remains of 'the hunt' after all its defining symbols have fallen away? In the British countryside an ominous fox hunting party slowly disintegrates before our eyes as they give chase to an unlikely victim. This startling and thought provoking short was created for the UK Channel 4’s Random Acts series. It was made by Bad Collectv. In the UK a scandal is quietly brewing which much of the media chooses to quietly side-line or ignore altogether. You might think that when over 10,000 people have died the government might sit up and take notice. September 28 saw many people come together who refuse to take this situation any longer. Here is a little background for those of you outside of the UK. ATOS Healthcare carries out disability assessments on behalf of Prime Minister David Cameron’s coalition government -specifically the Department for Work and Pensions (DWP). It is basically outsourced work which the government does not want to do itself. Currently, ATOS is being investigated by the National Audit Office (NAO) in a in a major “value for money study”. Meanwhile, since the inception of the Work Capability Assessment (WCA), 10,600 people have died within six weeks of being deemed ‘fit for work’ by ATOS healthcare professionals. Human Cost documents ‘10,000 Cuts & Counting’, held on the 28th of September, 2013 at Parliament Square, a ceremony of remembrance and solidarity for those who have had their lives devastated by Cameron’s austerity programmes. 10,600 flowers were laid in front of Parliament to highlight the devastation caused by the current UK government. This video was made by You and I Films. 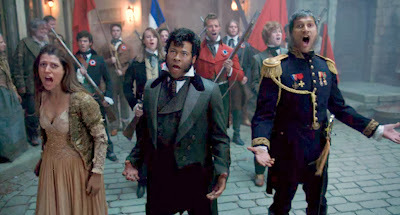 Key and Peele still don’t seem to be very well known outside of the US – and that’s a great shame but something that I am sure will change in the near future. The popular American comedic duo here takes on Les Miserables – and those of you who have seen the movie or the musical will get this completely. The villain of a historical epic struggles with the fact that this epic also happens to be a musical. As the time gets nearer to celebrate the fiftieth anniversary of the best TV show ever, Doctor Who (not that I am biased) I hope to share with you some of my fondest and most enduring memories of the show. Above is one of them – and possibly my favorite moment of the revitalized version of the series. Vincent and the Doctor is a very special episode, scripted by Richard Curtis. I won’t go in to any great detail about the peripheral plot but needless to say it involves our time traveling hero and his feisty companion Amy meeting Vincent Van Gogh. Once the ‘adventure’ is done the pair decide to take Vincent to contemporary Paris to show him that he and his art do indeed have a future after all (Van Gogh only ever sold one painting in his lifetime). Alighting at the Musée d'Orsay, they approach the exhibition’s curator who waxes lyrical about the painter while Vincent listens to one side. The result is one of the most moving pieces of television I have ever seen. True, I know it’s all down to individual taste but I get bleary eyed every time I watch this. 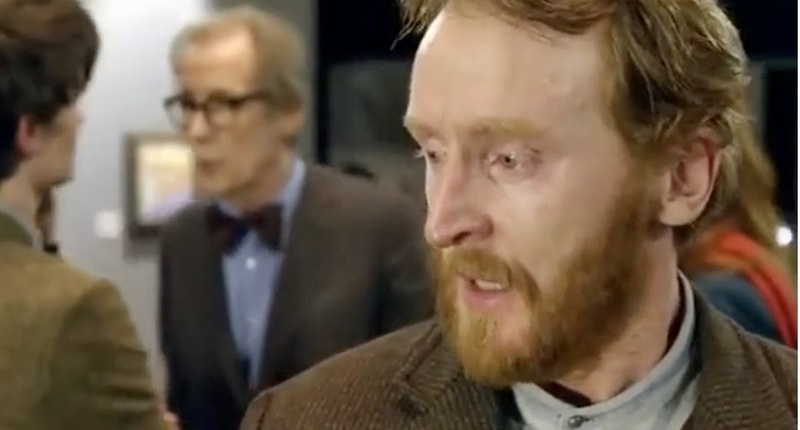 One would like to believe this moment is true as Van Gogh has such a troubled life – but although it is only fiction if it still very moving: the performances by the show’s regulars Matt Smith and Karen Gillan with Tony Curran as Vincent with an (uncredited) appearance by Bill Nighy as the curator are standout. One evening, a traveler knocked upon the door of three brothers. Asking for a place to stay, as he has nowhere else to go, he offers them his magic talisman for payment in exchange for room and board to come in out of the pouring rain. 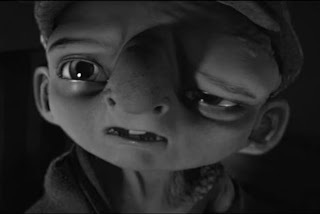 What the brothers learn is that the talisman is capable of granting three wishes. But be careful what you wish for. This is a powerful piece by Trunk Animation which poses an interesting question about crime and punishment. When the perpetrator of a crime lives but is no longer himself, should punishment for his wrongdoing still be levied? Have you ever wondered where clouds come from? Well, wonder no longer as this animated short from DSK Supinfocom will answer all your questions. Or maybe not. After all, the answer comes from the very fertile imagination of a small child. Well, you did wonder, didn't you? The film is the story of a young boy coping with the loss of his younger sister and the extreme emotional bond which leads to his energy focusing outward. 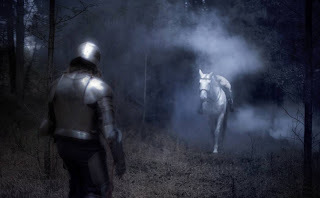 Feeling lost he revisits fond memories which lead him to realize she will always be with him. There is something lurking in the cupboard and one little princess finds herself under threat even though she is blissfully asleep. However, she has an ally in her teddy bear who will try to resolve the situation without waking her from her slumber. Little Princess is an animated short created by Nathan Petit at the Haute Ecole Albert Jacquard. I think I may have been waiting for this all my life. An unashamed fan of The Bard – not to mention The Terminator movies this hybrid of the two combines Shakespeare and Schwarzenegger seamlessly. 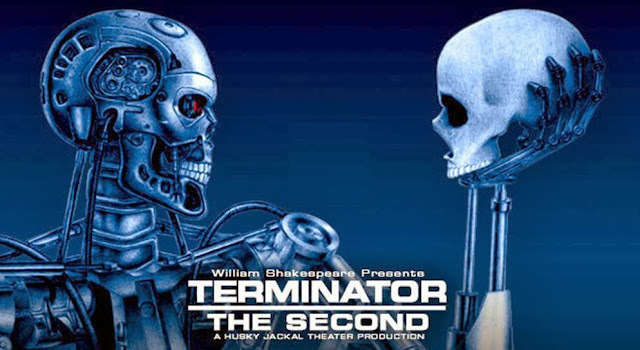 In fact, William Shakespeare Presents Terminator the Second is the premiere production of the Nashville performance collective, Husky Jackal Theater. A product of nearly a year of exploration and alteration, the script tells the strange history of a boy and his cyborg guardian completely in lines and phrases taken from the works of William Shakespeare. Each line and phrase is taken from original folios, with only proper nouns, pronouns and corresponding verb tenses subject to change. 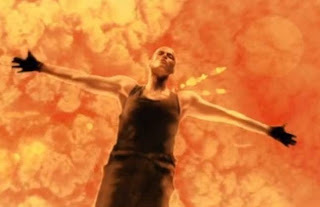 In doing so, the authors were able to accurately recreate the story of Terminator 2: Judgement Day, while remaining true to the words of Shakespeare in form, if less so in intent. I have never really felt the need to live in, move to or even visit Nashville before now, but that is where WSP: TTS (brevity being the soul of wit as Will would say) is going to be previewed on October 22 – at the Belcourt Theater. Hands up, I admit it - we have been neglecting dance a little on Kuriositas of late. 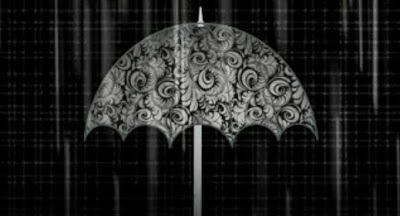 So, to make up for our negligence here is something really special for you. You can’t really beat a bit of ballet, particularly when it is so gloriously captured. Directed by Matthew Irving with camera by Blake Hendrix, For in This Space I Dream features the dance talents of Zachary Prentice and Kaya Aman. Often the best ideas are the simplest – and the concept behind this delightful animated short is just that. It’s all about the lives that we lead, the people that we meet and the memories that we make. It is also about the fact that these memories, like us, cannot live forever but they can be passed on. It’s all presented sparely too with very little else presented other than the people involved in the life of the protagonist, the universal everyman as it were. And, as simple as the idea and the execution are, the two combine to produce something profound. This utterly charming animated short was created by Hélène Leroux as her graduation piece at Gobelins, one of the best schools of digital communication and interactive design on the planet. The 1st year Bachelor Computer graphics students at Bellecour had to create VFX (special effects) shots in the manner of many historical documentaries that can be seen currently on our screens. Without videos, journalists have increasingly tended to animate pictures to illustrate their points. A short film about loss. Mr Fisher lives for his son Johnny. Yet what happens when that person he cares for most in the world is suddenly gone? 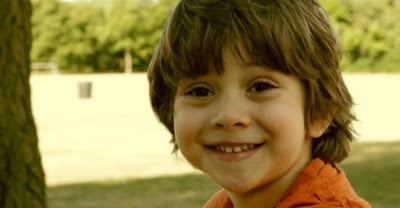 Finding Johnny was written, produced and directed by Justin Lebya. It stars James S Evans and Dylan Cinti. Dedicated to all those who have found themselves in a similar situation, whether as the carer or the cared for. Doug is an amateur scientist, trying to invent a money tree with very mixed results. His puppy feels a little neglected that no attention is being paid to him and turns to mischief with his ball just as Doug is putting the finishing touches to his latest experiment. The result is a madcap chase on a motorbike through the streets of a city after a giant creature that is part tree, part money and part dog. This super animated short was created by three students at the Bellecour School in France. They are Damien Guimoneau, Marlène Ranchon, Julien Jupille and Pierre-Gil Franc. I hope that they had as much fun making Doug ‘n’ Dog as I had watching it! 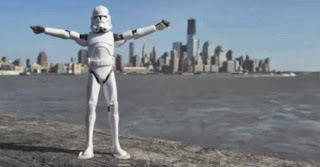 Take one toy Star Wars stormtrooper, some skill in stop-motion animation and New York City as a backdrop, mix them up together and you have the ingredients for a gloriously silly piece of film. Typically, as I watched I kept asking myself how long it all took to make and how the creators of this majestic little movie ensured that the throngs of New York City didn’t get in the way! 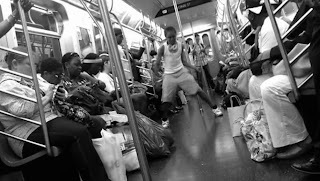 Stormtrooper Dance NYC was created by Nomeros/Primos. 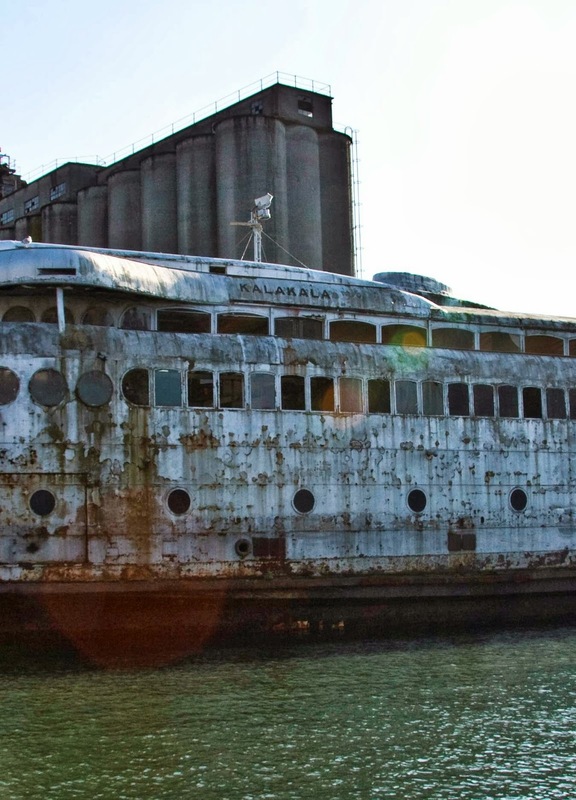 The ferry Kalakala operated for over thirty years, working on Puget Sands in the US State of Washington from 1935 to 1967. Her retirement from service has not, however, been a graceful one. 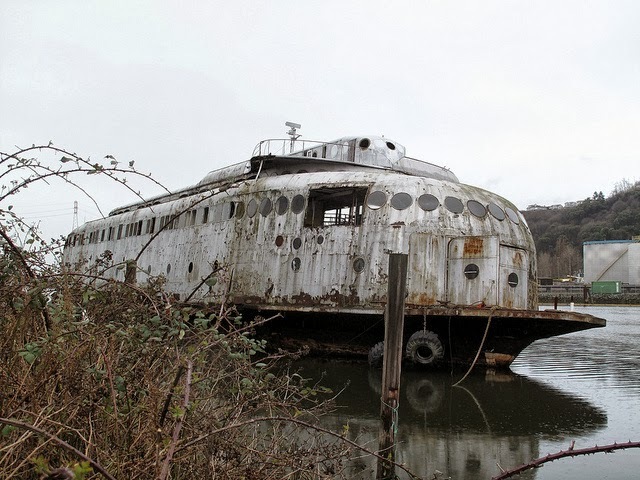 The world’s first streamlined art-deco ship has been diversely beached in Alaska, used as a canning factory and evicted from her anchorage by an indigenous American tribe. Now moored at Hylebos Waterway in Tacoma, it is make or break time for the Motor Vessel (MV) Kalakala. A miniature world of water, oil, crystal and iron, created by Christoper Brooks. The sea is a mixture of water and vegetable oil, and the crystals are sodium thiosulphate pentahydrate, which crystallizes very quickly when melted then cooled. 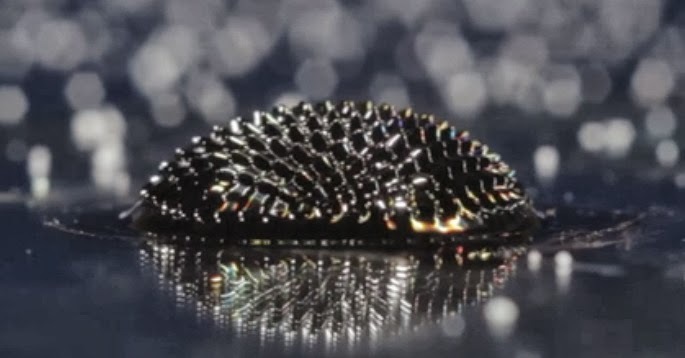 The shiny black oil is ferrofluid - a suspension of tiny iron particles in oil with a surfactant to hold it together. Magnets are placed out of shot to make the spikes. Artist Jack Ketz wanted to have some new concept art in his portfolio. He had never done busts before but was able to crank out 9 busts on a single page in a few hours. His goal was to focus on form more than detail and go for a simpler comic-book feel than he had ever done. 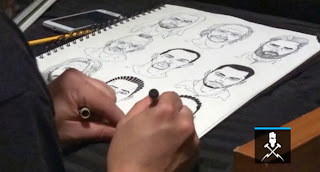 This video gives a fascinating insight in to the artistic process. Kelz then contacted a colorist, Russ Campbell and you can see the final results here. Outstanding. A cat dreams to become a pianist until the day he meets a mysterious friend. RIBA is an animated short directed by three students of Supinfocom Valenciennes in France. It has been screened all over the world in animation festivals. 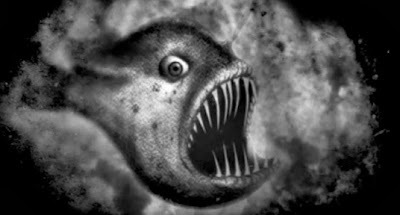 From an original idea by Yves Dalbiez, the story was eventually the result of a close work between three directors: Elise Garcette, Laurent Leleu and Yves Dalbiez. Tashlich is an ancient Jewish practice where bread is cast in to the sea and the sins of the previous year are symbolically washed away. The gentile protagonist in this short and beautifully shot movie, has heard of the ceremony and has decided to adapt it to try and alleviate the sense of deep remorse that he carries with him. Yet he must take Tashlich to a new limit in order to do so. Tashlich was directed by Brendan Bellomo and photographed by cinematographer Gregory Wilson. 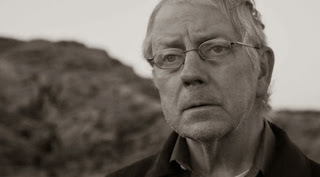 The man is played by Davis Hall. The wonderful Plot Point Productions have done it again. Hot on the heels of their last video which featured famous movie falls comes this superlative montage of final shots. There will be any number of your favorites included in this compilation (one of my own being the wonderful last moments of ET: The Extra Terrestrial. Sit back, wide screen this and take in all those marvellous final shots. 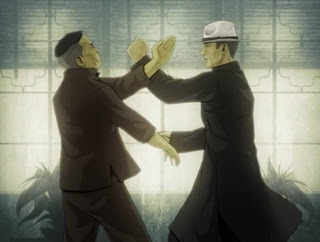 If you are a fan of Wong Kar Wai’s movie, The Grandmaster which is based on the true story of Ip Man, the martial artist who taught a young Bruce Lee the fundamentals of Wing Chun kung fu, then you will love these animated shorts by animation studio MoreFrames. Watch as the mysteries of Wing Chun, Hung Gar and Bagua unfold before your eyes. MoreFrames teamed up with VICE to create this animated series showcasing the key martial art styles that defined China and the world of kung fu. It takes a real talent to capture the essence of a place and I do believe that director and editor Francesco Paciocco has succeeded here with his home town of Brooklyn. The film, in sumptuous black and white, takes us on a tour of the borough and the result is a wonderful and celebratory – it makes me want to get on a plane and head there right now! We have heard of all sorts of animals landing up in London over the last few years. Many have surmised that it is global warming and its effect on the environment that is to blame for the English capital’s increasingly more unusual and exotic accidental visitors. Yesterday, however, there was no guessing. Aurora the animatronic polar bear was there quite deliberately and she had her Arctic home and its protection very much on the agenda. 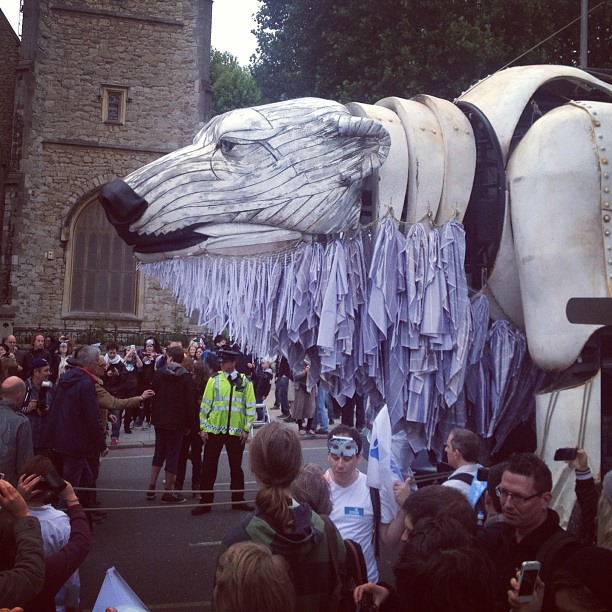 Aurora is the latest vehicle (almost literally) of environmental charity Greenpeace. 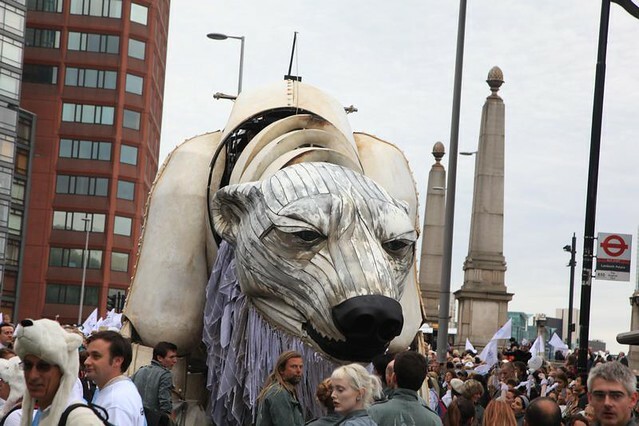 Yesterday, supporters marched alongside this three-tonne mechanical polar bear through central London as part of its Save the Arctic campaign. A pine tree discovers, to its delight, that its cones are ready to come forth. Fear for the future of its children leads it to hide them away. Yet while they are hidden from sight they develop aspirations which the old tree cannot contain. 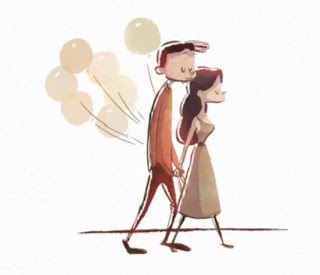 This beautifully made, rather enigmatic animated short was created by Gal Daniel of Gala Sheep. It is one of those pieces of film that, inexplicably, stay with you long after the final credits have rolled. I think I might describe it as charmingly bizarre – if asked! Have you ever wondered what life must be like as an undertaker? Graduate filmmaker Ed Emsley did and decided to make a short documentary on the subject. The result is not, as you might think, at all morbid. 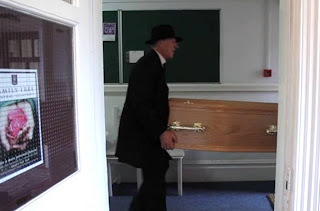 The documentary follows James Showers and married couple, the Callenders, who are independent undertakers. They have chosen funeral directing and it has become their vocation. This documentary looks into how they deal with death on a daily basis and explores their thoughts on their own mortality. Steven has pulled the short straw. He has to work a Saturday at the office and is bored beyond belief. A series of unfortunate events later and he discovers a miracle. You can probably tell by the title of the short movie that it involves the best know food source known to man (and woman). 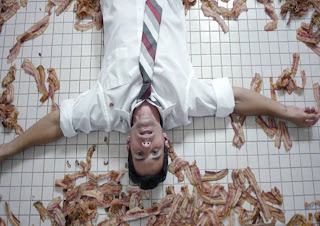 Steven and the Bacon was written directed by Ang Xie of Wayfare Films and stars Kris Black (surely a movie star of the future with those looks?) and Kara Leigh Maloney - who is very nice looking too! I can virtually guarantee that you will watch this video to the end. 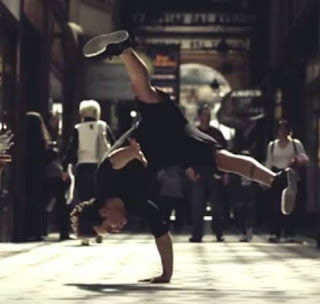 Videomaker Tomson has taken possibly the best break dancer in the world, Bboy Marco and created this amazing slow motion video of him in action in the middle of a Parisian shopping mall. The music is Adagio for Tron by Daft Punk. The combination of dance, visuals and music is just brilliant. What makes me scratch my head is how blithely some of the shoppers in the video pass by without their eyes popping out of their heads. 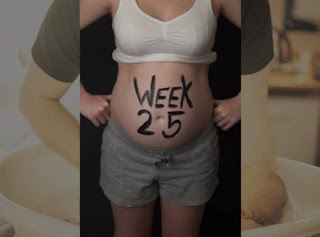 When photographer Paul Aslop and his partner (she isn’t named in the video) discovered that they were expecting a baby then it was decided that the pregnancy would be captured in a stop-motion time-lapse. Instead of waiting for the birth to start clicking away they created this fantastic piece over the nine months. They nearly decided it was too much of an effort to capture sequential images over the gestational period, however, they persevered. I think everyone will be glad they did. Well, almost everyone. The baby might possibly regret that this was created when it gets shown at every opportunity the proud parents have over the next twenty or so years! If you don’t have a head for heights then this may not be the perfect viewing for you. Many movies over the years have included falls from great heights and this great montage by Plot Point Productions covers so many of them in its short viewing time that you may feel a little light-headed by the end – I know I did. Among many of my favorites here are Ripley’s fall in Aliens, Gandalf’s in Return of the King and Katherine Thorn’s from The Omen. Plus it’s all bound together by In The House, In A Heartbeat, by John Murphy, from the soundtrack to 28 Days Later. Freelance animation director Andy Martin decided a number of months ago that his next illustration project would encompass life not of this world. As such, Handymartian’s (see what he did there?) 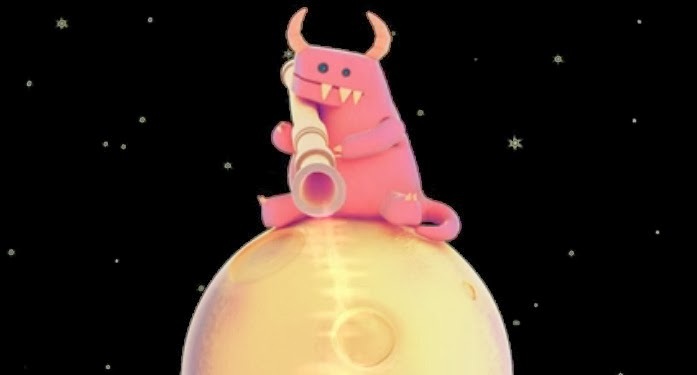 Illustrated Aliens features a new extra-terrestrial every day – you really need to visit his Illustrated Aliens Tumblr site to see them in all their glory. This amazing footage was captured by Enrique Pacheco during his many personal expeditions and workshops in Iceland from the last three years. It is simply stunning. 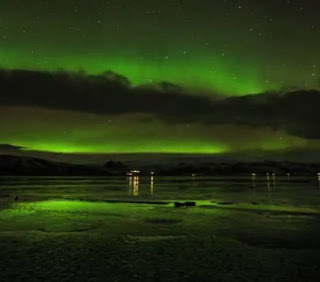 Iceland is a place with amazing landscapes at any time of the year, but it's in winter when this country attracts the most attention because of the Aurora Borealis or Northern Lights. As you can see the spectacle is just, simply, awesome. If this has made you want to go and do something like this, then Enrique Pacheco offers workshops, in which you'll learn the time-lapse technique, improve your photography skills and enjoy the amazing phenomena of the Aurora Borealis. 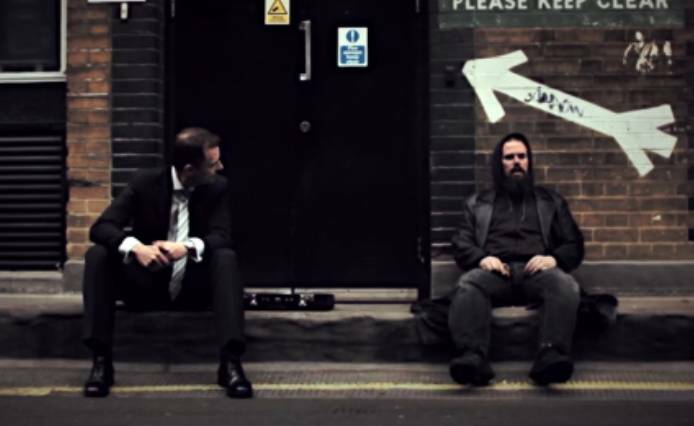 Two men from very different walks of lives have a chance encounter. One is a successful businessman – optimistic, positive and thrusting. The other is a down and out ex-bricklayer with a drink problem. Yet the two engage and this meeting will change their lives. This dark comedy (which you must watch to the very end as there is a great twist in the tale) was made by London born film maker John Cunningham and stars Stephen Molloy and Ross Williams. Although it was shot in just four days it was over a year in planning. The result is something entertaining but thought provoking – giving us (how should I say this?) plenty of food for thought. 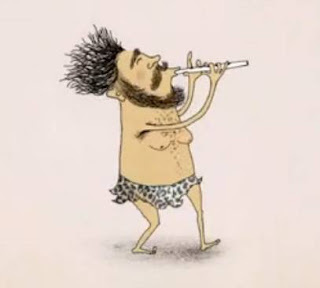 Edwin Schaap made this animated short for his Masters Thesis at Utrecht School of Arts. It is a metaphor for the expectation some parents have with their children, without seeing that they have other ambitions and their own dreams. Kin is the first of a series of fable by Seb and Ben McKinnon. It was the winner of Best Cinematography at the Fantasia International Film Festival. Watch it and you will see why. Although it could be classed as somewhat experimental perhaps things will become clearer as new episodes are released – although you may not feel the need for further elucidation as this quite ethereally majestic all on its own. I do love bold film-making like this where the audience is left to fill in the gaps themselves. The cinematography is simply lovely, too. This, we are promised, is just the beginning – there are also plans for a graphic novel based on the series. You can see this and also a great collection of sketches and concept paintings over at the Kinfables website. A friend of mine once put lyncanthropy down on his return to work form as the reason for his period off sick. He got away with (much to general mirth and merriment among his colleagues) it but it is an affliction (albeit fictional) which must be both terrible and exhilarating at the same time. 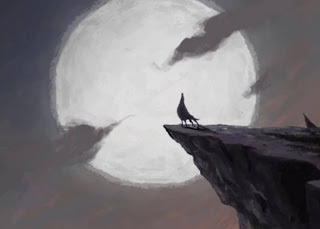 I think this animated short, Wolf, captures the change, and its endless repetitive cycle, really well here with the horror and the joy both expressed in momentary glimpses. It’s a great addition to the werewolf canon. Wolf (entitled Úlfur from the Icelandic) is a project by Héctor Zafra and Santi Amézqueta of Ciervo Alto, a Barcelona based animation studio. 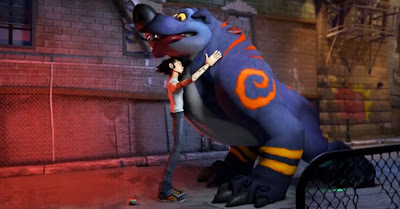 It is the result of 3 people who met in the animation school and decided to create their own company – this is their first animated venture together. If you have a child who has asked this question then you know that, on first appearance, it sounds quite straightforward. However, the answer is a little more convoluted than you might expect. Instead of boring said child with your own answer, why not sit the little cherub down in front of this wonderful animation. It manages to take in around ten thousand years of musical history in a little over three minutes and should answer the first question rather well - although it may provoke even more. 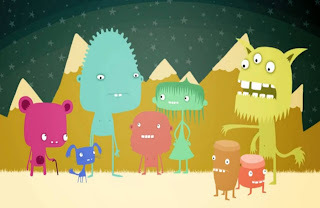 This short animation was part of the Science Club series on the UK TV channel BBC2 hosted by Dara O Briain. It was created by Asa Lucander. Thanks to Kuriositas reader Nammi Lakhani who was fearless enough to stand (and even jump!) on the Kjeragbolten. You can see a great collection of others doing this too on our feature on the Kjeragbolten. If you have a picture you want to share with our readers please send it to us at taliesyn30@aol.com. Thanks! 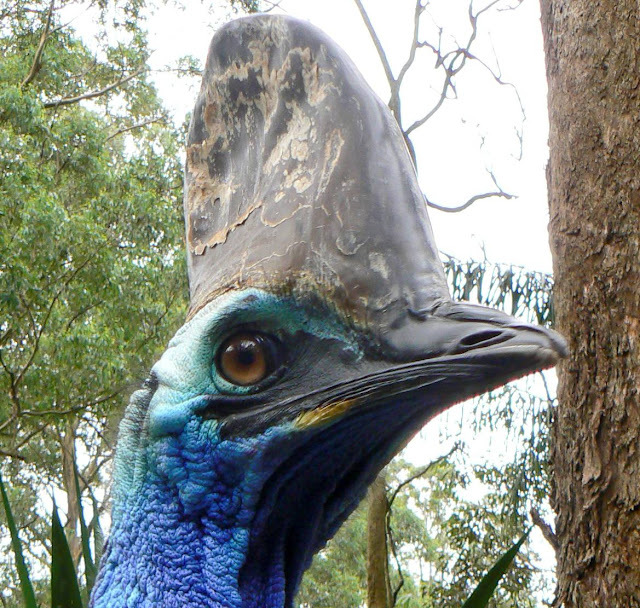 When you look at the Southern Cassowary it isn’t hard to see how birds are related to dinosaurs – it looks almost like something out of Jurassic Park with its beady eye and the horn like crest (known as a casque) atop its brilliant blue head. Yet this is very much a living species – just about. As there are only around 1,500 left in the wild the southern cassowary is critically endangered. Yet as we encroach on its territory, this bird has garnered something of a reputation – and the statistics show it, too. The southern cassowary is the most dangerous bird in the world – and you can learn more about it over at our sibling site, the Ark in Space.